-Timing Belt and water pump done in 2012. - Power locks , CC, & AC. Yeah, I saw another car that doesn't strictly qualify on EPA highway MPG: a 4-cylinder 2000 Toyota Camry 5-speed for $1200. The ad went up on Sat, and it's gone already, so it probaby sold. I had no idea you could get good cars this cheap. Of course they are never around when your car breaks down ! I found a couple of good deals right here in Austin. Almost makes me want to buy one to store at my parents place. Oh - I found a black 1972 Road Runner with a 440 and an 800 cfm carb- NOT going to make it to the 35 MPG club ! nice Crx si with 194xxx miles on body and about 75xxx on engine d16z6. i purchased the car about 1 1/2 yr ago and honestly drove it about 10 times. I wanted to keep it as a project car but i don't have the time and money for it. car does run. i have clean title and clean CAR-FAX for it. This car has never left San Antonio until i bought it. and engine and transmission oil but did it awhile ago. and there is more but really cant remember at the time. its a good car but need its TLC. and doesn't have a/c since previous owner swap engine. Reason for selling I don't have any need for it plus its taking up space. haven't drove the car since 2 months ago but does start and u may test drive it. car is dusty and will be coming with steelies not the white rims. If there was to be a Honda in Mad Max, this may have been it. 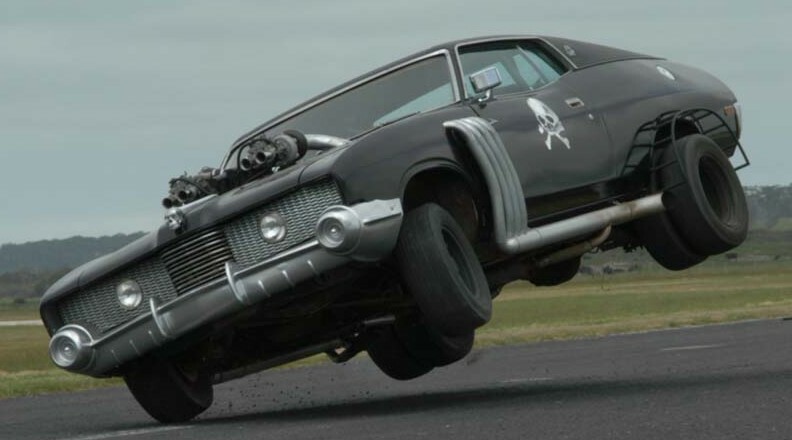 The irony in Mad Max was that they were fighting over gasoline, yet driving supercharged muscle cars with terrible aerodynamics and some even had DUAL rear wheels. The real smart guys in that movie headed west with all the eco cars - i guess the CRX above could be one of those . I am selling my 2002 black Saturn SL1. Asking $1,100 or make me an offer. E-mail me or text for details and pictures. Does need work, but is drivable as is. 5 speed manual. Great on gas mileage. gets about 30-35 mpg freeway driving. Need to get rid of the car because I do not have room anymore. cash only. Its amazing how most people can't even take a halfway decent picture of a car they're selling... Seriously, just back up a few steps! If he had enough room to back up a few steps, he'd probably be keeping the car! At least he did not back up a few steps and then hide part of the car with his finger. Here is another one (back up buddy, or turn your camera 90 degrees). But, its a good mpg car for cheap. Pretty low miles too. EPA is 25/29/35 if it has the 1.6L. Selling a 1997 Nissan 200SX with a 5 speed manual transmission. Engine idles nicely, clutch is strong, and transmission shifts smooth. Vehicle has about 116k miles on it. Interior is in pretty solid condition, the exterior isn't the greatest. Power windows, locks, etc. Just replaced the distributor. Tires have a fair amount of tread left. A few minor quirks but nothing to keep you from having an affordable fuel efficient vehicle. Please contact me with any questions. So where the #$%$@# was this thing a year ago???? I ended up buying a brand new car! Mother & Son-owned Saturn since purchased new at Saturn Nashua. This 5-speed, thrify car has delivered over 180K very satisfied, reliable, and regularly serviced miles to us and is ready for many more. Overall clean condition inside and out, all options still work including AC, power windows, AM/FM/Cassette stereo. Always starts first try, idles strong, no smoke from exhaust, no leaks, no dummy lights on, behaves as it should. Most service records available as well as original owner's manual. Past few years has seen new thermostat (11/5/14), front brake pads, exhaust from cat back, tune up, clutch, alternator, battery and all-season tires with one year on them. Head gasket was replaced at around 115K miles. Has after market alloy rims on it with 4 matching General tires with plenty of life in them, as shown in pic. And will include set of original steel rims with original hubcaps in great condition that have matching summer radials used for one summer. Also comes with two new matching seat covers, tan color like interior, for front seats still in the box. Rear door jams have rust and hood has a couple of small dents and quarter-sized rust bubbles on it but car always passes inspection, next one due in November. Very good running and cosmetic condition for the year and will serve you well. Still delivers 37mpg average in the summer and is the cheapest vehicle on the road for insurance, registration, gas, and maintenance. Great in the snow, too! This was our daily driver for the past 18 years, now just a grocery-getter, but it's time to pass it on to someone else as there are now too many cars in the driveway. More pics & VIN available upon request, can be shown virtually any time with some notice. Please Reply to listing with interest/questions. Cash only. EPA 25/36 (29) or 22/32 (26), I don't know why they list two ratings for what's probably different trim levels without telling you what the levels are. The old time EPA ratings were 29/40 (33) and 25/35 (29). The two ratings are SL1 (sohc engine) and SL2 (dohc engine). The SOHC has less power, better mileage.